The shows scheduled to hold simultaneously in Warri and Kaduna will feature top Nigerian artistes, comedians as well as up-and-coming entertainers. The Warri concert tagged ‘Warri Again Music & Comedy’ event, a first-rate musical concert in Nigeria will feature leading artistes and comedians. According to the organizers of the show, artistes confirmed for the concert include Basket mouth, Bovi, AY, Buchi, Gordons alongside music stars like Korede Bello Olamide and Iyanya lined up. Other popular acts such as Dr Sid, K cee, Cynthia Morgan, Harrysong, Lil Kesh will also thrill guests at the event. 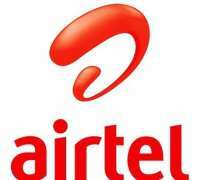 Meanwhile, Airtel is also collaborating with a showbiz platform, Talk Crew Network (TCN), to host its customers to the Kaduna Independence Carnival, which is a two-day show billed to hold on October 1st and 2nd at Green Apples Hotel (Carnivores), Sabo, Kaduna. Some artistes that will perform at the Kaduna show are: Bishop Talk, Pheroshuz, SkinnyBoi, Emmyli, Dan Hausawa, Stayo Stevens, Penny and Nino Brown, while Disc Jockeys (DJs) like Kelly, Abdul, Menthol, White, Uzzy, Bizzy and others will spice up the occasion. The Kaduna show will feature a red carpet session, and guests are expected to wear a touch of Nigeria’s colour, green and white. Airtel customers and telecoms consumers at the two concerts will have the opportunity to win fantastic prizes as there will be exciting draws, trivia and other engaging activities. Speaking on the event, Airtel’s Chief Sales Officer, Godfrey Efeurhobo, noted that the telco organised the Independence concerts to commemorate the nation’s 55th Independence anniversary and to also connect with its teeming customers especially the youth. He said: “The nation’s independence anniversary remains a significant moments in the history of Nigeria. And Airtel Nigeria recognises this important day and also realises that the nation can further be built through empowering youths and creating opportunities for them to achieve their dreams.